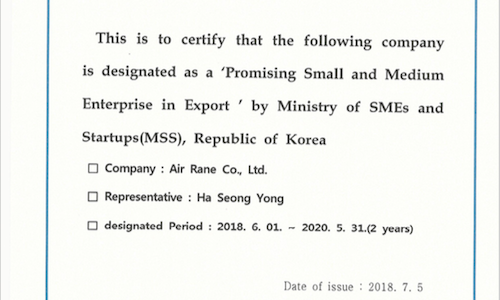 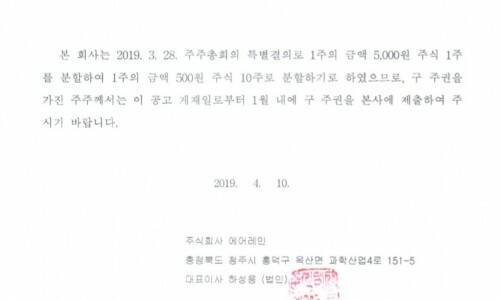 Airrane has been recognized as a 'Promising Small and Medium Enterprise in Export' by the Korean Ministry of SMEs and Startups. 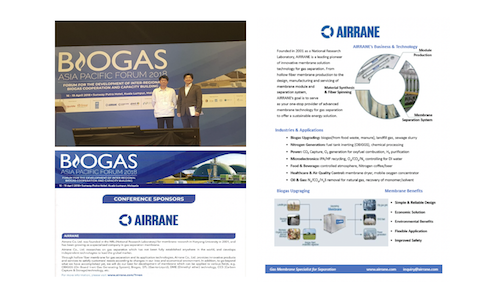 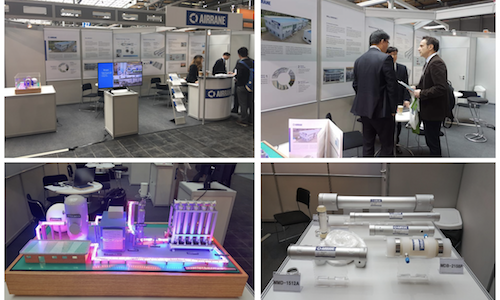 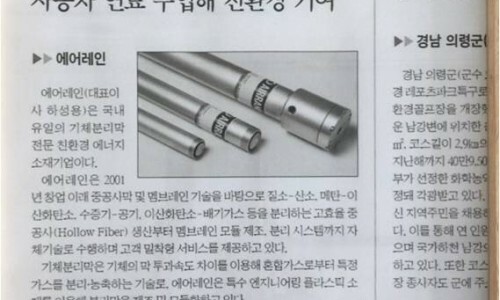 Airrane is awarded Grand Prize for Excellent Green Energy Company by Hankook Ilbo as famous daily news paper in Korea on May 17, 2018. 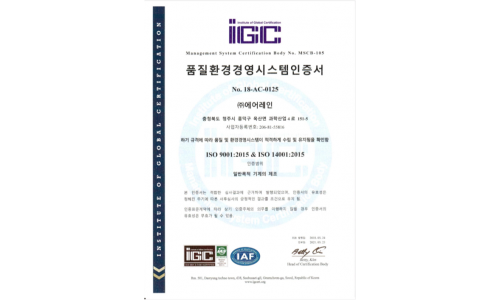 Airrane got certificate of quality and environmental management system in compliance with the requirement standard ISO 9001; 2015 & ISO 14001;2015 for manufacture of general purpose machine by Institute of Global Certification (IGC) on May 24th, 2018.